Segovia is an amazing place is very beautiful where you can fine the aqueduct. Is a very big bridge. 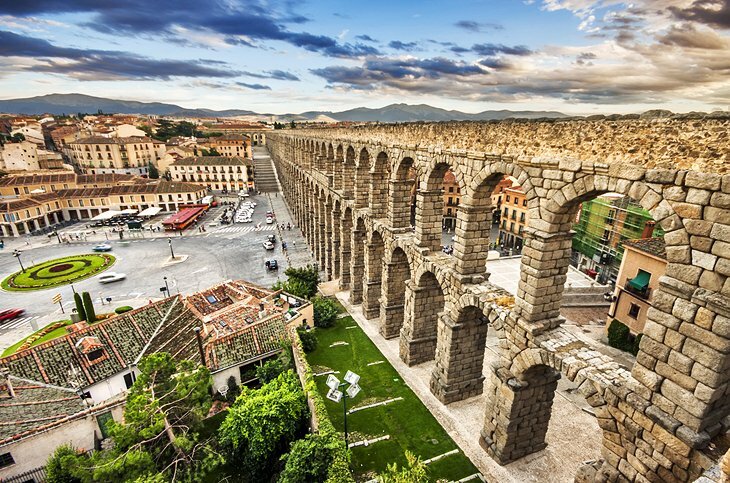 The Segovia aqueduct is an amazing bridge is almost 2,000 years that the roman architect made it. The purpose of the bridge is to transport the water from fuente fria river, situated in the nearby mountains. Some 17 km (11 mi) from the city in a region known as La Acebeda. It runs another 15 km (9.3 mi) before arriving in the city. 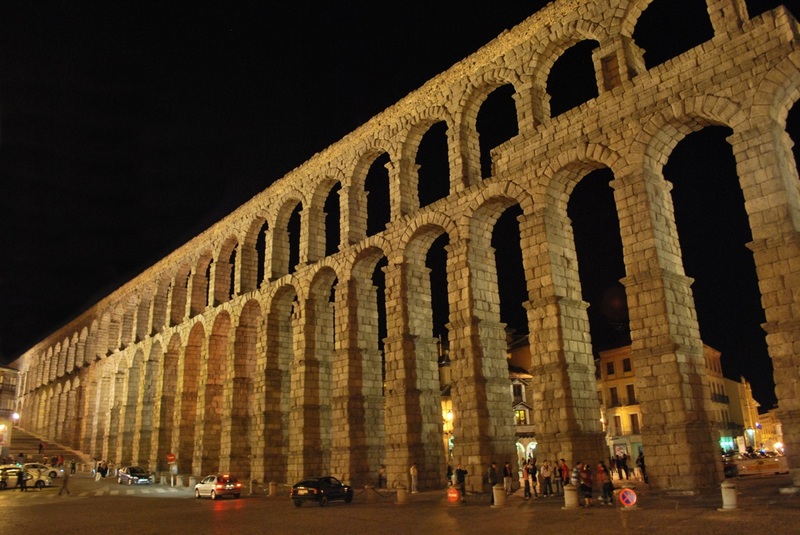 One of the most popular places of Spain is the aqueduct of Segovia is just amazing. Is impressing that is got almost 2,000 years and looks very strong. There is a legend of the aqueduct of Segovia. The legend says that every day a young maid who served in the mansion of a wealthy local man, Had to carry fresh river water for the master. This work was very tiresome because of the distance and the weight of the water, and the maid waste time in doing it. One day the maid was so tired that she fainted and fell to the floor leaving her task undone, it was the when, plunged into deep despair, she called the devil and made him an offer that could hardly be rejected: the devil could take her soul in exchange for a solution to her problem before dawn. Satan gladly accepted the pact. The night a bolt of lightning woke the maid up and she saw thousands of demons building the aqueduct. She did penance and prayed to avoid fulfilling the pact. There was only one stone left to complete the work when a cockerel crowed and the first day of sunlight announced the devil’s failure. Then, the maid went to a near church and made a detailed confession. The priest, totally convinced that what happened was a miracle, ordered that a statue of the virgin and Saint Stephen were placed in the hollow left by the aqueduct unplaced stone.